I’m sure this isn’t a first, and I know that a lot of politicians, including President Barack Obama, have Twitter profiles. 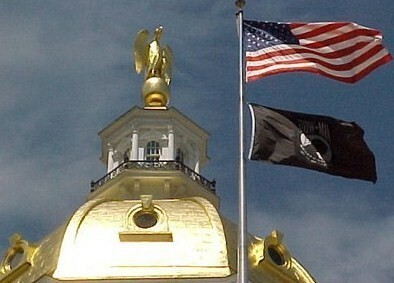 But news just broke about how the New Hampshire House of Representatives are now using Twitter to disseminate information! The House Speaker, Terie Norelli, said that lawmakers are excited because Twitter will allow the state government to be more open and transparent with the people. 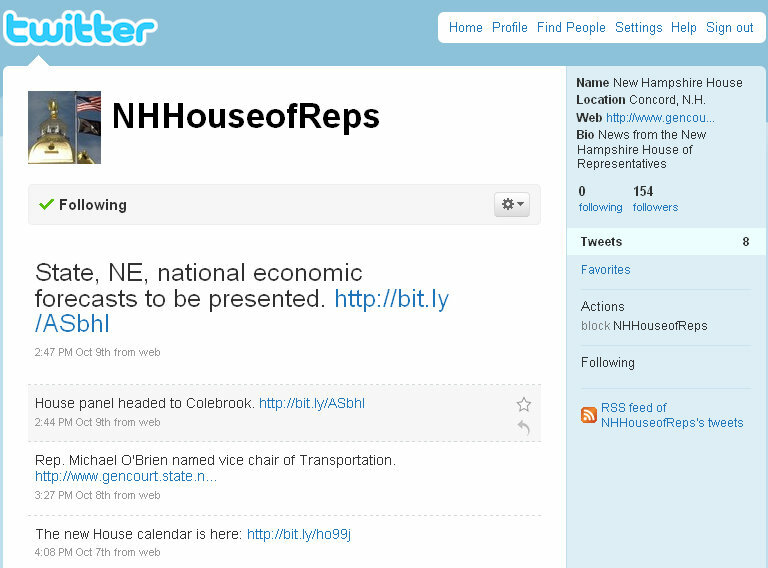 You can follow the New Hampshire House on Twitter by following @NHHouseofReps. It looks like they launched their profile on October 5th, or at least that’s the first update that was sent through their Twitter profile. And although there are only 8 updates so far, I think this concept of government bodies launching Twitter profiles is a great way to stay in touch with the people they govern. Not only that, but just like how Twitter can be great for customer service, so can it be with governments and politicians having Twitter profiles. I did send a messgae asking if they are getting a lot of feedback and replies through their Twitter profile. I would be curious to know what kind of response they’re getting. Ultimately, this is a great concept for any organization and one that I believe will pick up more traction as the understanding of how Twitter works grows and expands!